Side sleeping is one of the most popular ways to drift off, but it can cause a number of issues if you don't have the right mattress and pillow. In this guide, we're going to share some practical advice on choosing the best mattress and pillow for side sleepers, as well as our top product picks, so you can get the support you need for this specific sleeping style. What's the best mattress firmness for side sleepers? 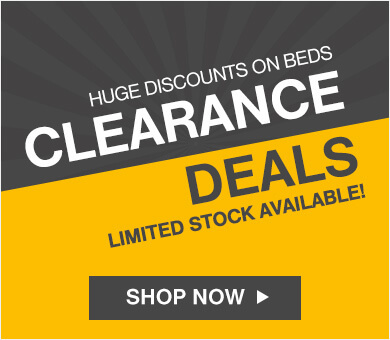 What's the best mattress depth for side sleepers? What are the benefits of sleeping on your side? Side sleepers generally prefer a 5 or 6 on the firmness scale, which equates to a medium comfort. When it comes to choosing the right mattress for you, this is one of the most important considerations. The firmness scale is measured from 1 to 10, with 1 being the softest and 10 being the firmest. You will find that most mattresses typically range from 3 (soft) to 8 (firm), and side sleepers like to be in the middle of that range. However, as spinal alignment is key to healthy side sleeping, your body weight will determine which firmness level is right for you. The heavier you are, the firmer your mattress should be. It is a common misconception that the firmer the mattress, the more supported you will be. Back sleepers, for example, benefit from a firm mattress because their body weight can be evenly distributed across the mattress. But it's a different story for side sleepers, as the pressure is focused on the hips and shoulders, a fairly small surface area. Another common myth is that side sleepers should sleep on a soft mattress to compensate for the added pressure, but this isn't true either, because a mattress that is too soft won't be able to support the spine. To ensure you have a comfortable and fully supported night's sleep, you want the top two layers of your mattress to be at least 8cm thick. Most mattresses typically have between two and five separate layers which work together to provide comfort, support, and stability. The top layer or two acts as the comfort layer of your mattress and is where most of the comfort and support you feel comes from. Not only that, but these layers are also largely responsible for heat and motion transfer. On higher-end mattresses, the comfort layer can be divided into a dedicated comfort layer (or layers) and a support layer (or layers). The thickness of the comfort section is important. If it’s too thin, it won't provide enough support or pressure relief. If your body is on the heavier side, you’ll quickly sink through the top layers and actually rest on the base layer, decreasing your comfort levels. Instead, you'll need a thicker mattress that can take the added weight without compromising comfort and support. The downside is that thicker mattresses tend to trap more heat, which can make you hot in the night, but this can be mitigated through the use of certain sleep technologies. The bottom layers of your mattress play less of a role in comfort, but they work together to form a solid foundation and play an important role in compression support. This is particularly important for heavier sleepers, who will sink further into their mattress. The construction of the lower layers is also integral for the durability of the mattress, as it is what will take the weight of your body for years to come. The other important aspect to consider when choosing a mattress or pillow is the materials it is made of. Memory foam, pocket springs, Octasprings, and latex are the most popular materials, and each brings its own advantages. You can also get hybrid mattresses which combine two or more of these materials in different ways to create unique sleep experiences. What material you choose is largely a matter of personal preference, but each has its own benefits, which you can find out more about in our mattress buying guide. It's important to bear in mind that most mattresses will feel great when you try them out for a minute or two in a shop, but you often won’t feel the aches and pains from misalignment until you've slept on it for a couple of nights. Your core alone has over 30 individual muscles, and any excess pressure or tension can lead to pain over time. For this reason, it can often be better to buy a mattress that comes with a sleep guarantee for a certain number of nights. Find out more about our 60-Night Comfort Guarantee. 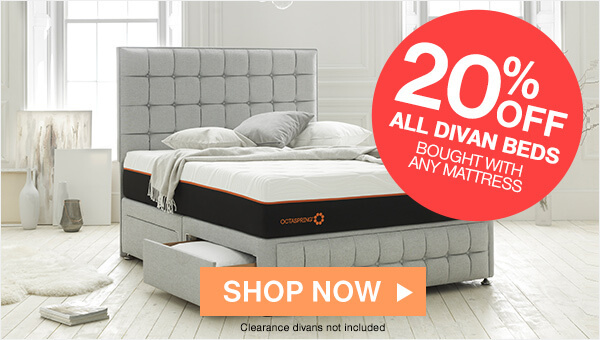 If you're looking for a fantastic mattress for side sleepers on a budget, then look no further than the Dormeo Memory Plus. With an extra thick layer of memory foam, combined with a layer of Ecocell foam, this is one of the most comfortable mattresses around at this price point. With built-in air vents to increase breathability and keep you cool throughout the night, it's easy to see why it has been rated as the Best Budget Mattress by the Daily Mail and awarded a Which? Best Buy! This great all-rounder will stand the test of time and is ideal for side sleepers, combining cool and comfort in two layers of foam to give you a great night's sleep. Add in the fact that the mattress is enriched with carbon fibres to create a barrier to dust and particles in the air, and you're guaranteed to sleep soundly. 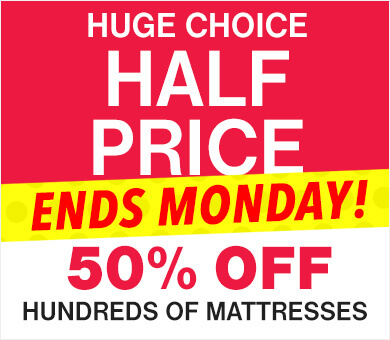 Please note: This is the thinnest mattress on this list; thicker models will likely be preferable for heavier sleepers. 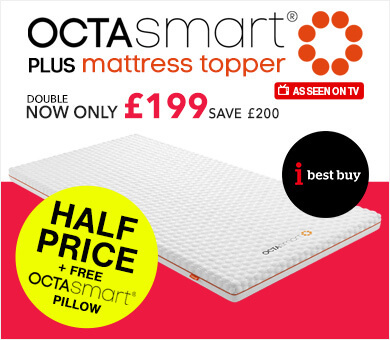 If you're looking for the ultimate sleep experience, you'll have to try the Octaspring 8500, a memory foam mattress that utilises cutting-edge sleep technology to give you the sleep you've always dreamed of. This mattress is ideal for relieving the shoulder and hip pressure associated with side sleeping, allowing you to be fully supported by Octaspring technology that moves to the contours of your body. This is a deep and luxurious mattress that provides the ultimate in memory foam comfort with innovative spring technology. Three layers of Octasprings work together to create three different body zones, giving you tailored support for your head, torso, and legs. Add in the fact that Octasprings are eight times more breathable than traditional memory foam mattresses and you get all the benefits of memory foam comfort without the drawback of being too hot. This deep mattress is great for couples and sleepers of any size. 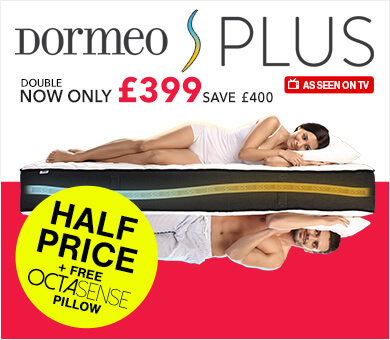 If you and your partner sleep in different positions or can't agree on the perfect mattress, then the Dormeo S Plus is the option you've been looking for. This is a completely customisable sleep experience with over 30 different comfort combinations, so you and your partner will both be able to get a perfect night's sleep. Featuring unique Octaspring technology, combined with a configurable S-shaped Ecocell core, the S Plus is a truly fantastic multi-comfort offering that can be configured for every sleep position — ideal if only one of you is a side sleeper. Inspired by the human body and the natural 'S' shape of the spine, the S Plus mattress is designed to provide unparalleled sleep comfort. Smartly connected cores allow you to personalise each side of the mattress and quickly interchange them at will, making the S Plus the risk-free choice for couples with different sleeping preferences. You can also rotate your mattress core head to toe to find your preferred Octaspring support, either soft and bouncy or firm and supported. Whether you have allergies or just enjoy a clean and fresh sleeping environment night after night, the Silver Deluxe mattress is a fantastic choice for side sleepers. What makes this offering unique is its cover, which incorporates silver fibres with natural antibacterial properties. Not only that, but it also has anti-odour properties that help eliminate unpleasant smells caused by moisture absorption in the mattress. It also has the benefit of an anti-static shield to protect the mattress from dust particles that can cause allergies. With all of this fantastic protection, it's easy to forget about the comfort. With an extra thick layer of memory foam, three quarters of which is sewn directly in to the cover, you'll get a comfortable and supportive night's sleep on your side. Though not as breathable as other mattresses, it comes with 16cm of breathable Ecocell foam, which will help to keep you cool at night. If you're a particularly hot or heavy sleeper, we would generally recommend getting a mattress with Octaspring technology. To get the maximum comfort from your memory foam, the key is to remain cool throughout the night. That's where the Octaspring Tribrid comes in, combining all the latest in sleep technologies: the comfort of memory foam, the bounce of pocket springs, and the support of latex. This is a dream combination of comfort and support and ideal for side sleepers that tend to get hot in the night. This mattress has been designed from the bottom up with air flow in mind, keeping you cool all night long. With up to 1,365 individually wrapped pocket springs, transfer of movement is kept to a minimum — ideal if you have a partner that likes to move a lot in their sleep. Five body zones with differing strengths and densities of Octasprings contour to your body, meaning you'll be perfectly supported from head to toe. With plenty of bounce and a thick top layer, this mattress is great for heavy sleepers and couples alike. Pillow support is especially important for side sleepers, as your neck will need to be fully supported in order to maintain proper spinal alignment and avoid causing any undue strain on your back, shoulders, or head. Many side sleepers suffer from neck pain, but most of the time this can easily be fixed by reconfiguring your pillows and realigning your neck and spine. In simple terms, your head is further away from the mattress when you sleep on your side. If the gap between your head and the mattress isn't filled, your head will be tilted down towards the mattress, causing the neck to bend and leading to strained muscles and tendons. Likewise, sleeping with too many pillows or ones that are too thick will push your neck up and cause a similar problem. The key is spinal alignment, and that is why purchasing a pillow or pillows that are the right size is important. Sleep is something we spend a lot of our lives doing, and the last thing you want it to wake up in the morning with feelings of tiredness, or worse, headaches and chronic pain. To help you overcome this problem, we've selected best pillows for side sleepers. 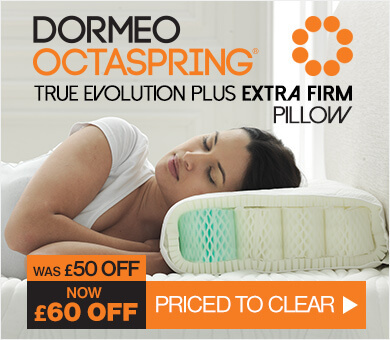 Treat your head to the most comfortable experience possible with the Octaspring True Evolution Plus pillow. It's jam-packed with memory foam springs, combining comfort and support with unparalleled breathability. Its unique honeycomb structure has eight times greater air circulation than traditional memory foam pillows, providing a cooler, drier, and more hygienic night’s sleep. A single one of these pillows should perfectly bridge the gap between your neck and head, reducing pressure on your head and providing support night after night. 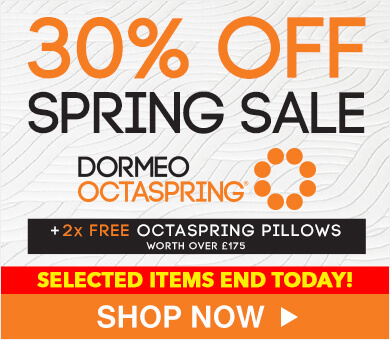 With its innovative 2-in-1 design, combining an Octaspring tube with microfibre filling, the Octasense pillow is a versatile choice, suitable for back and side sleepers alike. This unique design combines classic and anatomic support in one pillow, adapting three-dimensionally to your neck and back while offering top breathability and ventilation. Not only that, but you can remove its microfibre filling, giving a fully customised level of comfort. As if that wasn't enough, it's also infused with green tea, to bring some gentle aromatherapy into your bedroom and helping you to relax. If you're a particularly hot sleeper, the Fresh Classic pillow is the choice for you. It has been specifically designed to provide the ideal support and comfort for side and back sleepers, with temperature-sensitive memory foam pieces that allow it to adapt to the contours of your head and provide support for your neck and spine. The pillow comes in a dual-action pillowcase that keeps it cool and fresh: one side is made from Coolmax, which actively draws away moisture providing a cool and dry sleep, while the other is made from breathable Airmesh, allowing hot air to escape. If you suffer from persistent neck pain, whatever your sleeping position, then the Octaspring True Evolution anatomic pillow is the choice for you. It combines the comfort of memory foam with the breathability of two rows of Octasprings on the edges of the pillow to provided additional neck support. With 35 independent Octasprings, your head and neck will be gently cradled throughout the night so, no matter how you move, you'll always be supported. Add in the breathable structure and you're sure to get a cool sleep for many years to come. For a fantastic all-rounder on a budget, Evercomfy Silver pillows are a great choice. Not only are they super comfy and supportive, they are full of antimicrobial properties to help promote long-lasting cleanliness. Combining the hypoallergenic and breathable benefits of a hollowfibre filling with a durable and soft microfibre cover, this pillow will leave you feeling clean and fresh every night. This unique pillow contains ultra-fine silver crystals that release silver ions to control potential bacterial growth, creating a barrier for odours to allow for lasting cleanliness and freshness. Whether you like sprawling out like a starfish or curling up like a kitten, each sleeping position comes with both positives and negatives. Fortunately for side sleepers, if you have the right pillow and mattress, sleeping on your side brings with it a number of potential health benefits. Reduces pain in muscles and joints: Many people who experience back pain often find that sleeping on their side is the ideal position to get rid of their discomfort and guarantee they wake up feeling fresh every day. This is because correctly supported side sleeping relieves the pressure your body puts on your spine and hips. By properly aligning your head, heart, and spine, your joints and muscles are able to relax as much as possible, preventing the build-up of tension throughout the body. If you're affected by back pain, you might be interested in reading our guide to choosing the best mattress for a bad back. Improves your organ health: Sleeping on your left side, rather than the right, has been shown to be better for the health of our hearts, stomachs, and intestines. Due to gravity and the anatomy of our body, left-sided sleeping helps to alleviate acid reflux and heartburn, improving digestion and reducing feelings of sickness. This same principle also applies to the heart, with gravity making it easier for your heart to pump blood around your body when laying on your left side, helping to reduce blood pressure and boost circulation. Decreased snoring: If you have trouble with chronic snoring or sleep apnoea, your doctor may have recommended that you try sleeping on your side to improve your symptoms. When you sleep on your back, your tongue can fall to the back of your mouth and constrict your breathing, creating the classic sound of snoring. Side sleeping allows your airways to be clearer and more open, allowing you to breathe easier and sleep soundly. For best results, try sleeping straight like a log, rather than in the foetal position. Now that you've learned all about the best pillows and mattresses for side sleepers, it's time to choose yours. Whether you decide to go for memory foam, pocket springs, Octasprings, or latex, follow our advice and you're guaranteed to get a good night's sleep.